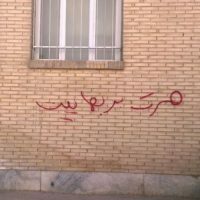 [Editor: In the recent weeks since the 22 of Bahman [10 Feb. 2010], marking the 31st anniversary of the Islamic Revolution in Iran, the Iranian Government has stepped up what appears to be a systematic attack on the Baha’i Faith using blended media–newspaper, internet articles, TV– and followed by a series of arrests (click here to see list of recent arrests). One particular effort in this attack has been the insulting and demeaning depiction of the founders of the Baha’i Faith in a TV series named “Salha-i Mashruteh” (the Constitutional Years) which saddened the Baha’is around the world: While in the international arena, the Iranian government actively objects to insults against religious sacred precepts, it is shameful to see the production and dissemination of this series by a news medium associated with the government. 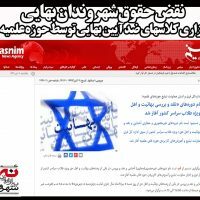 In this connection, and to show the shallowness of the effort in the TV series, Iran Press Watch is happy to bring this article by Adib Masumian to its readership. Adib is currently a first-year student at the University of Texas at San Antonio. He wrote his first book, Debunking the Myths: Conspiracy Theories on the Genesis and Mission of the Baha’i Faith (available at lulu.com), when he was a high school senior and it was well received. In this current article, Adib Masumian points out the historical inaccuracies by the director of the mentioned TV series that are detectable to the most casual readers of history. On February 1st, 2010, Iran’s Channel 3 began to air a series named Saalhaaye Mashrooteh, which could roughly be translated as “The Years Leading to the Persian Constitutional Revolution [of 1905-1911].” The series begins with the significant historical events that lead up to the Constitutional Revolution, beginning with the ascension of the Qajar ruler Nasiri’d-Din Shah to the throne in 1848. In the process, two of the Central Figures of the Baha’i Faith, the Bab (1819-1850) and Baha’u’llah (1817-1892), are also inserted in the series not to offer authentic history but to bolster age-old anti-Baha’i conspiracy theories regarding the genesis and development of the Babi and Baha’i religions. This short essay will address some of the historical inaccuracies present in the series, so readers can assess whether this is an attempt at portraying accurate history or simply another premeditated attack on the Baha’i Faith. The director of Saalhaaye Mashrooteh, Mohammad Reza Varzi, is known for his anti-Baha’i stance. This is in fact not the first television series in which Varzi has defamed the Baha’i Faith. Two other productions of his, Emarat-e Farangi (European Building) and Pedar-Khandeh (Godfather), have both been harshly criticized for their distortion of historical events, including Baha’i-related ones. Varzi has thus set a precedent for being fanciful in his portrayal of historical events, and also for allowing his own personal biases to affect his rendition of those events. When viewing this series, it is readily apparent from the outset that Varzi’s knowledge of Persian history, particularly Babi and Baha’i history, is shallow. In the beginning of the series, Baha’u’llah is depicted as a figure much older than the Bab, when in reality they were only two years apart. The Bab’s appearance is also intentionally distorted. For instance, the color of his turban is changed from green to black to essentially divest him of his lineage as a siyyid, or direct descendant of the prophet Muhammad. (Siyyids have an exalted religious status in Shi’ite Iran.) Of course such inattention to detail or fanciful conjectures are not confined to the Bab and Baha’u’llah. The young King of Persia, Nasiri’d-Din Shah (1831-1896), is also shown as a middle-aged man at the time of the execution of the Bab, when, in reality, he was no older than 19! Thus, Varzi was either uninformed or intentionally careless about historical accuracy. Neither bodes well for a television series that purports to portray authentic history. However, Varzi’s erroneous representation of some of the most salient events surrounding Baha’u’llah and the Bab in relation to the broader scope of Persian history go beyond superficialities like clothing and age – the trajectory of Persian history itself has also been distorted. Saalhaaye Mashrooteh is replete with inaccuracies surrounding the lives of the Bab and Baha’u’llah. Below are some of the more glaring errors. In another scene that has no basis in history, Mirza Aqa Khan Nuri, the future Prime Minister of Persia who eventually succeeds Amir-Kabir (1807-1852), is seen walking into the British Embassy where Baha’u’llah is already seated next to the British consulate. However, in reality Baha’u’llah never visited the embassy of any foreign country in his life, in Persia or anywhere else. By placing Baha’u’llah and Mirza Aqa Khan Nuri in the British embassy, Varzi is trying to accomplish two sinister aims. First, he wants to reinforce the age-old lie that the Baha’i Faith is not a religion, but a political movement invented by the British. Thus, Baha’u’llah is supposedly no more than a British agent who worked with a colonialist power to fabricate a religious movement for the express purpose of weakening Islam by creating divisions within it, and allowing an imperialist power to exploit the resources of a Muslim nation. Despite this, it appears that Varzi thinks this accusation would not create enough hatred towards Baha’u’llah. Therefore, the scene at the British consulate also tries to portray an unholy alliance between Baha’u’llah, the British, and Mirza Aqa Khan Nuri by showing them entering into a pact to take revenge for the death of the recently executed Bab. The aim of this pact is of course to supposedly bring down and eventually eliminate Amir Kabir, the highly revered, nationalist prime minister of Persia. This would give the conspiracy theory lovers one more reason to hate Baha’u’llah and his followers! It is truly ironic that in this same scene, the British consulate speaks of the execution of “His Holiness the Bab” (hadrat-i-Bab) as though the audience will not wonder why the “colonialist” is showing such respect to his own paid agent! By using performing arts and the persuasive power of television, Varzi’s revisionist history casts Baha’u’llah into the highly negative role of a colonialist agent who has no love or respect for Islam or his country. Those seeking the truth, though, need to go no further than look up Baha’u’llah’s own writings (http://reference.bahai.org) to see that the opposite is the case. Unfortunately for Varzi, his version of history is also in diametrical opposition to other anti-Baha’i propaganda that claim the Babi and Baha’i religions are the brainchild of Russian imperialists. One such work is the now widely discredited “Memoirs of Prince Dolgorukov,” which claimed the Babi and Baha’i religions were a Russian creation! Perhaps it behooves the promoters of anti-Baha’i conspiracy theories to first settle on a single, consistent version of the untruth! Baha’u’llah and Mirza Aqa Khan Nuri were distant relatives. However, there is not an iota of historical evidence, in the British archives or anywhere else, to corroborate a meeting between them and the British in the British consulate or elsewhere. If Varzi or others have such evidence, they need to present it or risk being accused of trying to manipulate history. Additionally, Mirza Aqa Khan Nuri not only did not befriend Baha’u’llah, but tried to distance himself from the latter because he saw his remote family ties to Baha’u’llah as a liability to his political aspirations. He proved this as a prime minister by condoning the widespread massacre of the Babis in 1852, in which many early followers of the Bab, including the famous poetess of Qazvin, Qurratu’l-`Ayn (Tahirih), lost their lives. First, the Bab should have been suspended against a wall, using a rope, with one of his followers – a youth named Muhammad-`Aliy-i Zunuzi (also known as Anis) – who insisted on being executed with the Bab. In Varzi’s version, Anis is intentionally absent to not even hint of any sense of love or loyalty to the Bab, let alone the extreme measure that a follower would insist on dying with his beloved leader. There are also no ropes. The Bab simply stands on the ground against a wall, and is portrayed as terrified. In the series, the firing squad is shown to comprise only 7-8 soldiers, to reduce the significance of the event, when in reality multiple regiments forming a large firing squad participated in the execution. Both Babi and anti-Babi sources confirm that a large multitude of spectators witnessed the execution of the Bab. This includes the official court history of the time, known as “Nasikh al-Tawarikh” (lit. Abrogator of [other] Histories). However, Varzi’s version tries to ignore the Bab’s notoriety by showing that no one aside from the executioners was present at the scene. In the unaltered version of history, when the first volley of bullets was fired and the smoke from the muskets cleared, the firing squad saw that the Bab’s rope had been cut and that he had disappeared. Additionally, Anis was also found standing on the ground unharmed. After searching the barracks, the soldiers found the Bab conversing with his secretary. In Varzi’s version, the Bab does disappear, but he is shown hiding and cowering behind a barracks wall. There is no truth in this, nor has any historical depiction of the events, even by anti-Baha’is, related this. In reality, after the failed attempt, Sam Khan – the head of the firing squad and an Armenian Christian – became overwhelmed by what he witnessed, refused to carry out the execution, and left. A second regiment, headed by Aqa Jan Khamsih (a Muslim) stepped in and carried out the execution. Of course, neither Sam Khan nor Khamsih are featured in the scene. There is also no reference to Sam Khan’s amazement at what he witnessed and the departure of his regiment. When Khamsih’s regiment fires, the Bab and Anis died this time, and their bodies became a mangled pile of flesh, with the exception of the Bab’s face. In the series, however, the Bab dies alone after a few shots from the firing squad, and his body remains fully intact. The above examples clearly show that Varzi had no motivation to present an accurate history but he simply intended to provide more ammunition against the Baha’is and justify their repression. As a result, his Saalhaaye Mashrooteh ends up being no more than a hodgepodge of inaccurate events, devoid of much historical value. Conspiracy theory lovers such as Varzi never wonder why the Bab and Baha’u’llah, who came from affluent backgrounds, would suddenly decide to betray their own ancestral religion and native land and partner with colonialists. Of course, Varzi is not interested in exploring the motives behind the Bab and Baha’u’llah’s alleged ties to the British or Russians. 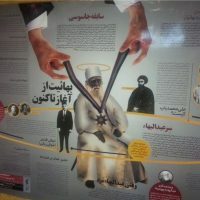 Far from responsible historiography, his main goal is to simply rehash age-old lies that will add fuel to the fire of anti-Baha’i hatred, at a critical juncture in Iranian history when such measures could ultimately lead to more bloodshed and injustice against the country’s largest religious minority. See this review by Hassan Hedayat: http://hosseinpakdel.com/archives/daily/000614.php ; and this one by a Baha’i: http://www.noghtenazar101.info/node/704 Both reviews are in Persian. W. S. Blunt, Secret History of the English Occupation of Egypt, London: Chiswick Press, 1907. Baha’u’llah, Tablets of Baha’u’llah Revealed After the Kitab-i-Aqdas, 1978, pp. 22-23. Nasikhu’t Tawarikh, vol. 3, Mirza Muhammad Taqi Khan Lisanu’l Mulk Sipihr: Qajar History (Tehran, 1337), pp. 99-101. Reproduced in World Order Magazine, Vol 8 No 1 (Fall 1973) – Translators: Kazem Kazemzadeh and Firuz Kazemzadeh. Adib Masumian is an excellent source of Baha’i knowledge. I look forward to seeing more of his articles on your site in the future. Thanks for this. Bravo for the refutation of invented falsehood which falls back to this disabled “movie director” from “iraniwood” . He is a disgrace to the competent iranian directors who win internationl awards for their great movies with so little a budget. Unfortunately they are mostly persecuted by the “antithinking police” . Thanks for the Bahai point-of-view analysis of the TV series for those of us who could not understand what the actors were saying in the series. But why is the actor playing Baha’u’llah have marks around his eyebrows? Are they trying to say he is a Sufi or what? And isn’t there a scene where he is shooting gun? What’s that intended to portray? I.P.W. has deleted one of my posts of yesterday which I accidentally posted twice. I’ll repeat my thanks for the analysis of the TV series and offer my recommendation of historical accounts such as Nabil’s “Dawn Breakers” at http://reference.bahai.org and other Baha’i works at the academic website /library http://h-net.org/~bahai . Again I ask why the actor portraying Baha’u’llah has marks on his face…. is that a Sufi thing they were trying to portray? Why did Baha’u’llah’s actor use a gun in one scene? what were they trying to insinuate? Apparently my browser was not refreshed, thus the reason I thought my post was deleted when it appears not to have been the case….. sorry for that blunder on my part….